The Go-Ahead Group has been awarded a five-year contract to operate bus services in the Outer Dublin area by by Ireland’s National Transport Authority (NTA) – it was announced today (Thursday, August 10) . The contract, which is the first open tender process run by the NTA, comprises 24 routes, 125 buses and around 350 drivers. 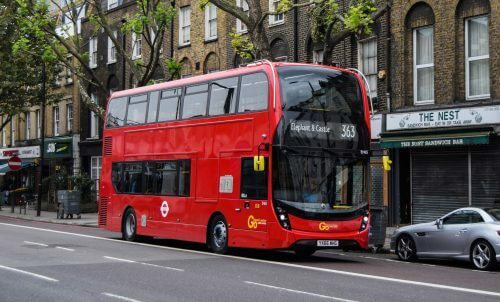 Similar to the structure of Go-Ahead’s bus contracts in London and Singapore, the contract will run from late 2018, with a possible two-year extension. Go-Ahead Chief Executive, David Brown, said: “We are pleased to have the opportunity to work in partnership with the NTA to deliver a vital service to people living and working in and around Dublin. “Ireland’s economic growth and planned public transport investments offer an exciting opportunity for us as we execute our strategy of targeted expansion into new markets. More in next week’s issue. What shall we do with the demobbed soldiers? Give ‘em a coach!